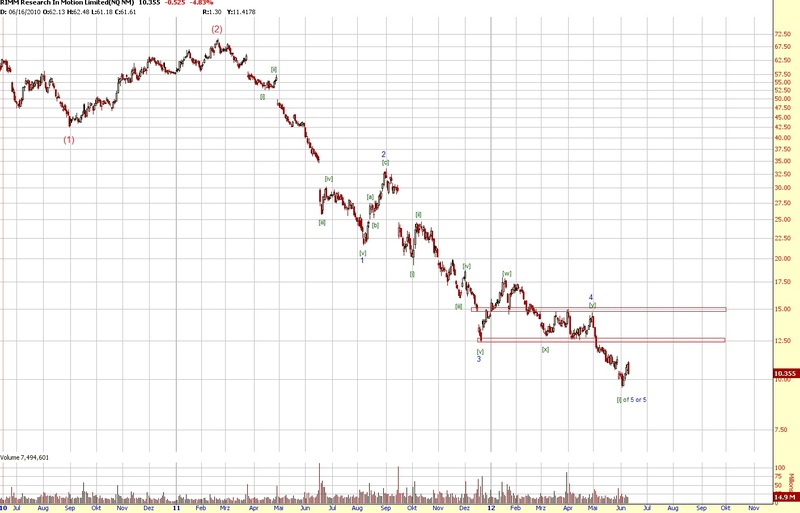 I think RIMM is forming a zigzag from the top in 2008. 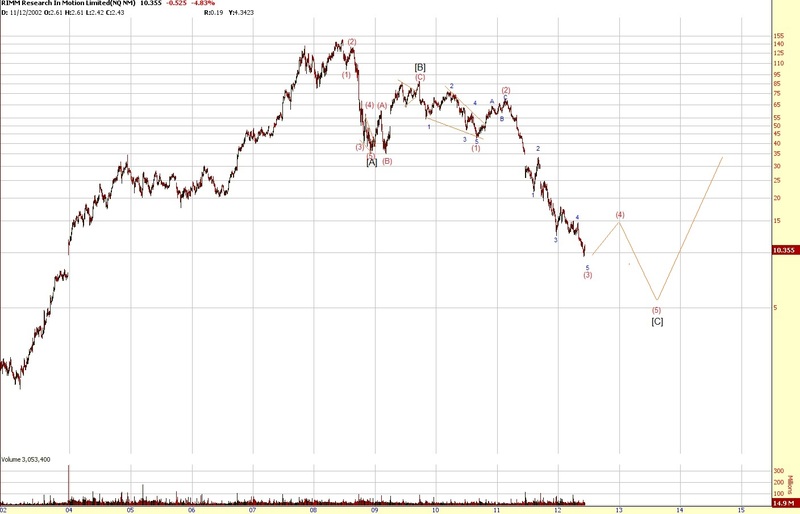 It looks like we're at the end of the third wave of wave [C]. 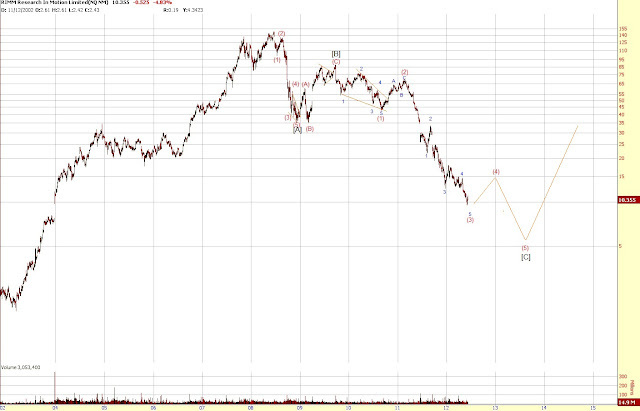 Next should be a fourth wave correction to 12.5-15 $ followed by another sell-off to new lows to complete the zigzag. If we get above 15 $ wave [C] is probably over.